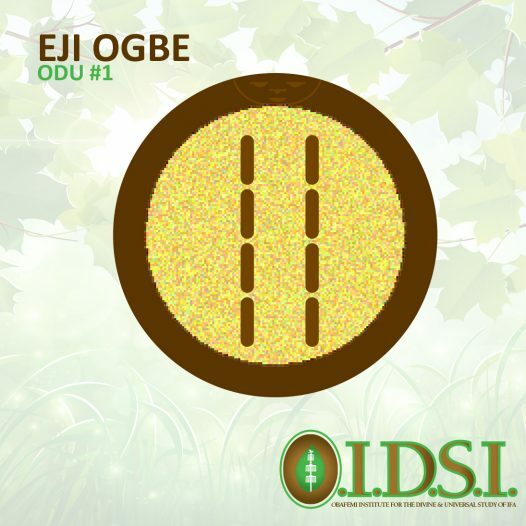 Chief Oluwo Obafemi Fayemi reviews and provides insight on the Sacred Odu Eji Ogbe – The Supporter, the first Ifa Odu. Chief Oluwo Obafemi Fayemi reviews and provides insight on the Sacred Odu Oyeku Meji – The Advertor of Death, the second Ifa Odu. Chief Oluwo Obafemi Fayemi reviews and provides insight on the Sacred Odu Iwori Meji – The Deep Seer, the third Ifa Odu. Chief Oluwo Obafemi Fayemi reviews and provides insight for the Sacred Odu Idi Meji – The Seal, the fourth Ifa Odu. Chief Oluwo Obafemi Fayemi reviews and provides insight for the Sacred Odu Irosun Meji – The Sounding Osun, the fifth Ifa Odu. Chief Oluwo Obafemi Fayemi reviews and provides insight for the Sacred Odu Owonrin Meji – The Reversed Head, the sixth Ifa Odu. Chief Oluwo Obafemi Fayemi reviews and provides insight for the Sacred Odu Obara Meji – The Rested & Hovering One, the seventh Ifa Odu. Chief Oluwo Obafemi Fayemi reviews and provides insight for the Sacred Odu Okanran Meji – The Beater of Sticks upon Mats, the eighth Ifa Odu.